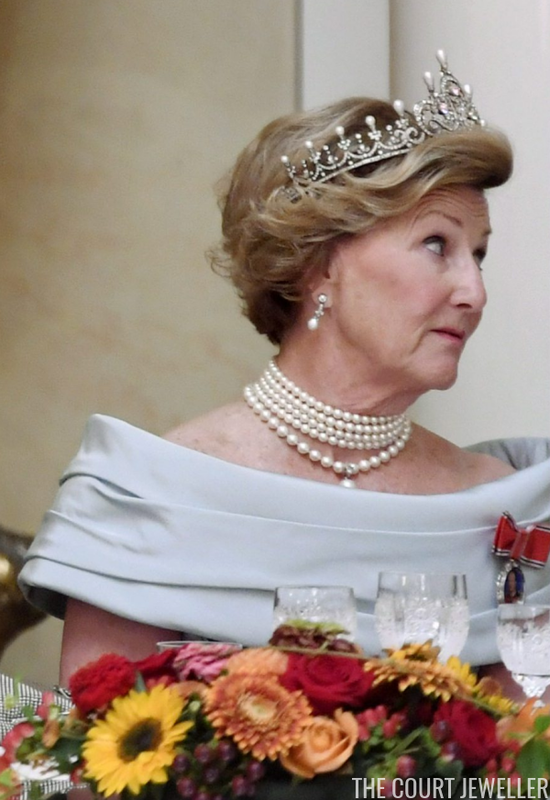 King Harald and Queen Sonja of Norway are currently on a state visit to Finland, and on Tuesday, they piled on the finery for a dinner at the Presidential Palace in Helsinki. 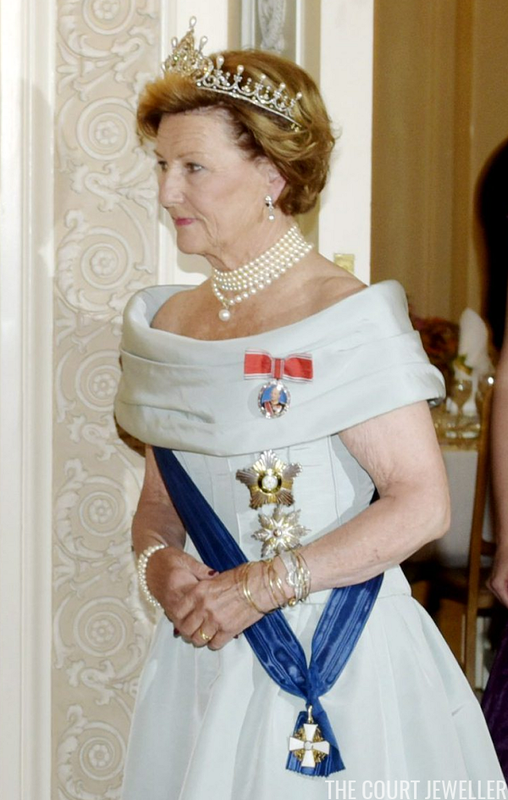 Sonja wore the full version of Queen Maud's Pearl Tiara, plus her multi-stranded pearl choker necklace, pearl and diamond earrings, and King Harald's family order. She also wore bracelets on both wrists, including pearls on her right wrist and a set of thin gold bangles that slid over her watch on her left wrist. 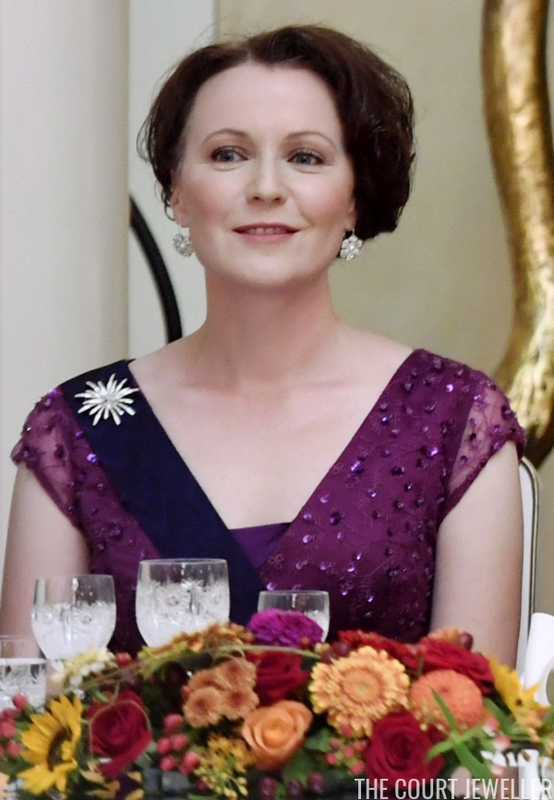 I thought you'd all also like to see the lovely jewels worn by the First Lady of Finland, Jenni Haukio. The abstract brooch reminds me a little of a burst of fireworks; her earrings have a classic diamond floral shape.